The feature of any large city besides skyscrapers and wide highways is supermarkets, hypermarkets and entire trade centers. As far back as 20 years ago the CDS (Central Department Stores) were the largest shops in the entire post-Soviet space, but today huge shopping centers appear everywhere, where you can buy practically any product, equipment, clothing and accessories. Some large shopping centers have been already open, and the construction of new ones is under way. One of the largest shopping center on the territory of Almaty is the Shopping Mall MEGA, where besides food supermarket, boutiques and salons you can find some cafes, ides and movie hall. 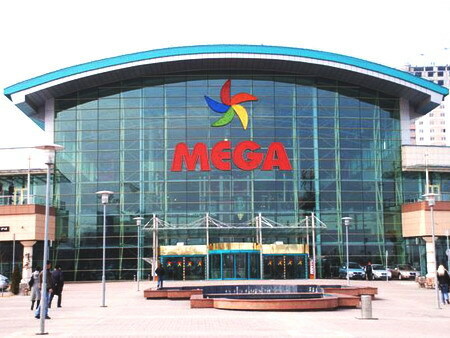 Not less large shopping centers are shopping malls RAMSTOR and MEREY, which appeared in the market of Kazakhstan more than 10 years ago and which are distinguished by large area – more than 10 hectares. But the grandest one is the Shopping Mall MAXIMA, which is placed on the area of 35 hectares and which can be called by right the shopping mini-town. Besides food supermarket and plenty of boutiques, it has cinema, bowling, billiard room, skating rink, some restaurants, cafes and bars, children’s playground, internet café, hairdresser’s, dry-cleaner’s and many others. In addition, for the convenience of visitors the entire center is computerized, also branches of several banks are placed here, and the staff provides the impeccable service. Summarizing, it can be noted that the retail industry in Almaty is rapidly developed and gains more and more customers. A quality of service and product range makes return to shopping malls and over again.